Breas Medical proudly introduces the Z2™ CPAP – the ultra-small, lightweight CPAP that’s perfect for travel. “Our goal was to take the small, light package of the Z1 CPAP and improve its performance so that it is quieter and starts up therapy on the first breath,” says Tom Miller, General Manager of Sleep for Breas Medical. 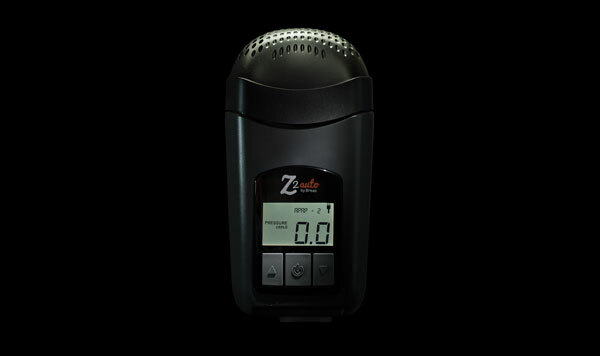 The Z2 is available in a fixed pressure model, Z2 CPAP, and an auto adjusting APAP model, Z2 Auto™. At just 6.48” x 3.30” x 2.02” and 10.4 oz, the Z2 is one of the smallest, lightest CPAPs on the market. The addition of the PowerShell® with Extended Life Battery makes the Z2 the only truly integrated battery powered CPAP. It is designed for our patients to take it anywhere they want to go- even off the grid. The new motor and firmware combined with the included Qtube® muffler reduces both the static and dynamic noise at the mask and at air intake. The noise is reduced at the air intake 29% on average and 26% on average at the mask as compared to the original Z1 CPAP. The new Z2 Auto firmware introduces an Auto Start / Stop feature which senses when the patient is wearing the mask and automatically starts or stops the treatment. The new Z2 CPAP line is proudly designed and assembled in the USA at the US headquarters in Massachusetts. Breas Medical, a global leader in respiratory treatment. Founded in 1991 in Gothenburg, Sweden, Breas Medical has become one of the global leaders in Home Mechanical Ventilation, Airway Clearance and Sleep therapy. Our vision is to provide Innovation for better breathing and quality of life to respiratory patients around the world and to help patients transition from Hospital to Home. Breas is headquartered in Sweden and has subsidiaries in the UK, USA, Spain and China. Together with network of highly specialized distributors, we serve over 40 countries worldwide. The Breas brands Vivo, Nippy and Clearway are widely recognized and appreciated for their performance, ease of use and attractive design. Breas has approximately 200 employees, 50 of which in the USA. Z2 and Z2 Auto are trademarks of Breas Medical, Inc. Qtube and PowerShell are registered trademarks of Breas Medical, Inc.
Breas and the Breas logo are trademarks of Breas AB. BOS-SAL-MAR-000359 v0.0.